Otley in Yorkshire, England, may be a far cry from the Sunshine Coast but, as far as cabinet-making goes, you could say that's where it all started. This year Otley celebrates the 300th anniversary of Thomas Chippendale, the father of bespoke custom furniture. Born into a traditional wood-working family, Chippendale became the first cabinet maker to publish a book of his designs. He was also an interior designer who worked on some of the most famous houses in Britain, including Wilton House, Nostell Priory and Harewood House. From humble beginnings, Chippendale started a trend for unique bespoke furniture and cabinetry that still exists today. Cabinet makers on the Sunshine Coast may not be working on stately homes but the principle is the same. It's all about creating beautiful furniture in response to a very detailed brief by the client. In Chippendale's day, these were likely to be enormous banqueting tables or elaborate desks. Nowadays it's more likely to be fitting out a new kitchen or bathroom. Either way, the emphasis is on hand-crafted pieces that please the eye and will stand the test of time, something that can't usually be said of imported mass-produced cabinetry. Cabinet makers in Noosa are enjoying renewed interest in their craft as people become more discerning about what they put in their homes. This is particularly true when it comes to kitchens. One of the main trends we've seen in kitchen design this year is the increased use of solid timber, particularly oak. From the 1970s through to the 1990s, oak cabinetry was extremely popular and it's quite likely those kitchens are still looking fabulous! Unfortunately, as we moved into the 2000s, there was a move towards engineered wood alternatives, such as wood veneer and MDF. This led to the popularity of flat-packed modular kitchens, which were seen as an easy and economical way to spruce up your home. Whilst these products filled a certain gap they had two major flaws: the quality was often poor and the sizing was standard. The latter can cause significant problems if your home isn't brand new. Many older homes have uneven floors and walls and odd-shaped rooms. The homeowner tries to get around this by cutting the flat-pack modules down to fit but that frequently causes the cabinetry to crack and split. Real timber offers many advantages to homeowners and cabinet makers on the Sunshine Coast, including good looks, durability and texture. Take oak, for example, it's so versatile it can be used to create any look from seaside shabby to farmhouse kitchen to French cottage. Timber can look ultra modern or rustic; it's up to your taste and the skills of the cabinet maker. Solid timber adds warmth and sophistication to any room. It's enduring, a material that is synonymous with good taste and style. When it's used by cabinet makers on the Sunshine Coast, you also know it will be strong and well made. It won't be held together by glue, rather traditional joints, for long-lasting beauty. Pick up any quality interior design glossy magazine right now and you'll see both country-style and Shaker kitchens are back in vogue. Both these styles of kitchen design feature timber and may be representative of our move back to more simplistic, environmentally-friendly design. There is a growing appreciation of traditional craftsmanship, which is great news for young Australian wanting to train in cabinetry and joinery. It's also good news for home-owners, who understand that by slightly increasing their renovation or building budget they can get a kitchen or bathroom that will potentially last forever. Solid timber also offers more design freedom. Timber can left natural, distressed, painted, whatever you want. And you can really do that with wood veneer! In addition, any damage or scratches can be easily sanded away. With the growing popularity of timber kitchens comes a renewed love of the kitchen island; in fact, around 75% of new kitchen designs and kitchen makeovers include one. 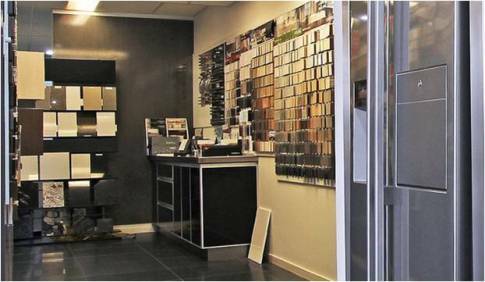 There is also growing demand for better storage solutions - something that can be easily tackled with bespoke cabinetry. Shaker is a distinct style that comes from the design movement of the same name. The Shakers believed that everything in the home should be simple and functional, and free of unnecessary decoration. Shaker-style cabinetry consists of a solid frame with properly proportioned doors and simple knobs or handles. 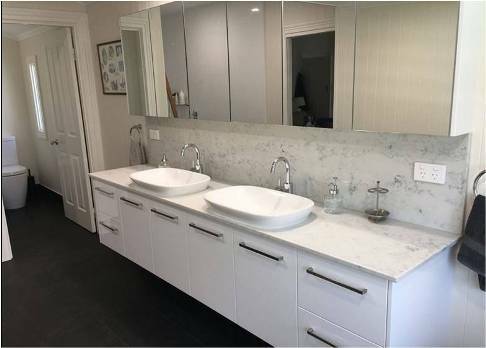 This style is often seen in pieces produced by cabinet makers in Noosa because it also offers versatility when it comes to dimensions and storage space. Farmhouse and Shaker-style kitchens look particularly good when teamed with polished floorboards, stone and slate. At the end of the day, a flat pack kitchen will always be a flat pack kitchen. It will also have a limited lifespan. If you're renovating or building for your own enjoyment, or for resale, you should really consider talking to cabinet makers on the Sunshine Coast.